How 2: Solo the CFO! Heres my guide to solo the CFO! Hope you enjoy! 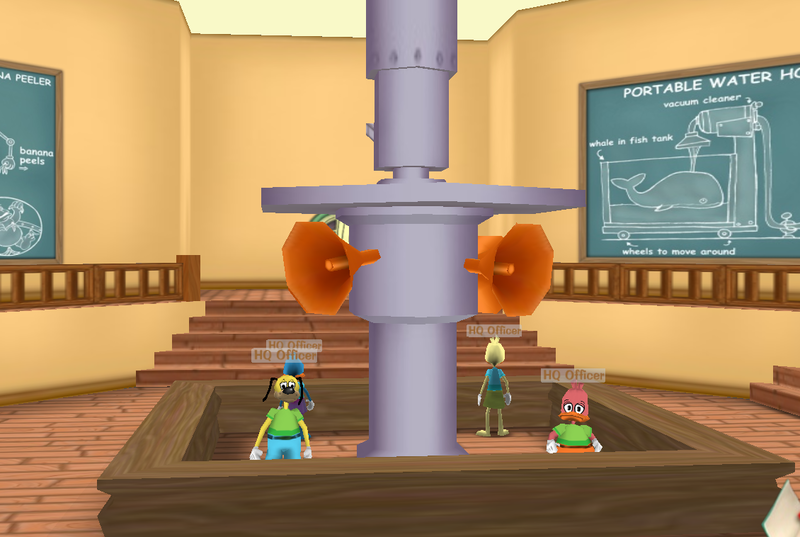 Now, the cogs... You should get 4 small cogs in a row and keep them there the whole time. This will minimize your SOS and unite usage. I also would not use unites unless absolutely neccesary since you will need them in the crane round. It will get boring eventually:sleep: but the only reason I used tons of SOS toons in my solo was because I used a sid to get rid of the little cogs and went at it full throttle. In the cranes: IMMIDIATELY block 1 door. I would not block the other until you start getting tons of red goons. This is a easier round to solo then the pies since you can get heal without unites! If your good at cranes this should be rather easy ;) Alas, I would suggest doing a practice solo crane before your real solo. Good luck on all of your solo'ing endeavours! Re: How 2: Solo the CFO! Well, honestly I think you should bring many Toon-Up unites. Why? Let's say you're in the Cog Round, and the Cogs are attacking you. You're very low on laff, and you can't use an SOS Toon, because it's not your turn to hit. You can't use an SOS Toon. Same if you're in the crane round. Lady Trickster wrote: Well, honestly I think you should bring many Toon-Up unites. Why? I get where your coming from and what is in this guide is from my expierience. I went in uniteless and even if I had unites I would of gone sad. Why? I was overwhelmed by red goons. The greatest mistake anybody can make for this solo is overthinking the cogs. The cogs are, by far, the easiest of all cog rounds to solo on TT. Like I said, Bring about 300 laff in unite broken up, set up a bunch of little cogs and keep them there and the cogs will be fine. Very good job on this, but 1 - 2 hours! That's a bit much.